We missed our Talk About It yesterday. Unfortunately, time got away from me so we'll be sure to put up a great post for that day next week. Today, I wanted to instill some positive energy into the world today. With all the chaos surrounding each of us every day that triggers stress and anxiety, which can lead to serious health issues, we need to find that one thing that springs up to elicit happiness. It can be anything. Your child bringing you a flower or making you something special at school. Accomplishing a small goal you set, because that is wonderful no matter how small. A phone call from someone dear that you may not have heard from for awhile. Taking a walk and discovering new and beautiful things you may not have noticed before. There comes a time when one needs to slow down, decrease energy output and do what makes one feel content. Even I've been guilty of totally absorbing myself in negative energy lately, which really does effect those around you. Enjoy and embrace the happiness around you. Let it help melt away what brings you down, and give yourself time to regroup. We all need that. 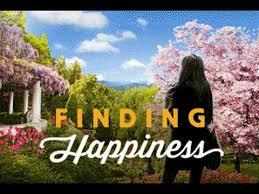 Today's prompt is finding happiness.